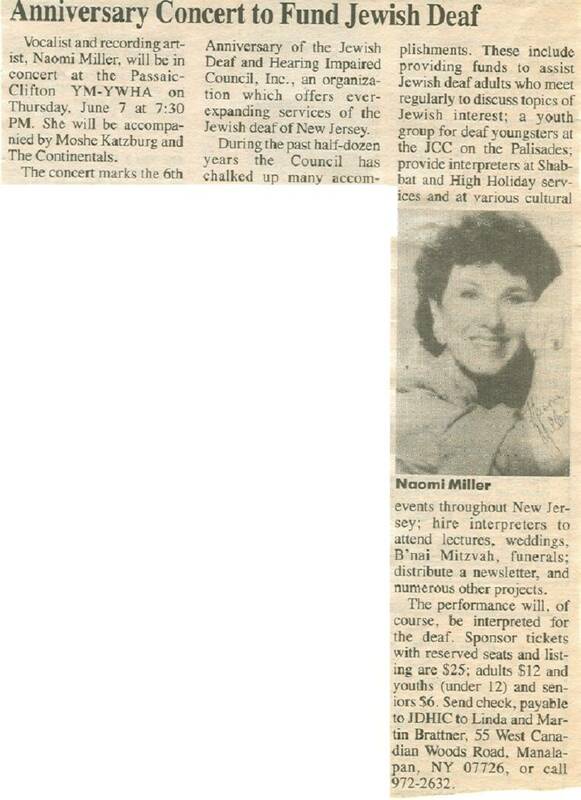 Naomi Miller of Wayne, NJ founded the Jewish Deaf and Hearing Impaired Council, Inc. (JDHIC) in 1984. 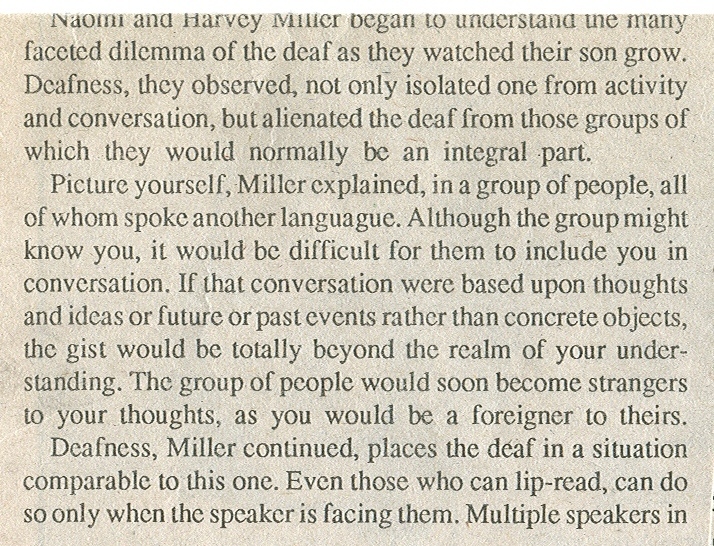 Miller, who is hearing, became active because she has a Deaf son, Philip. 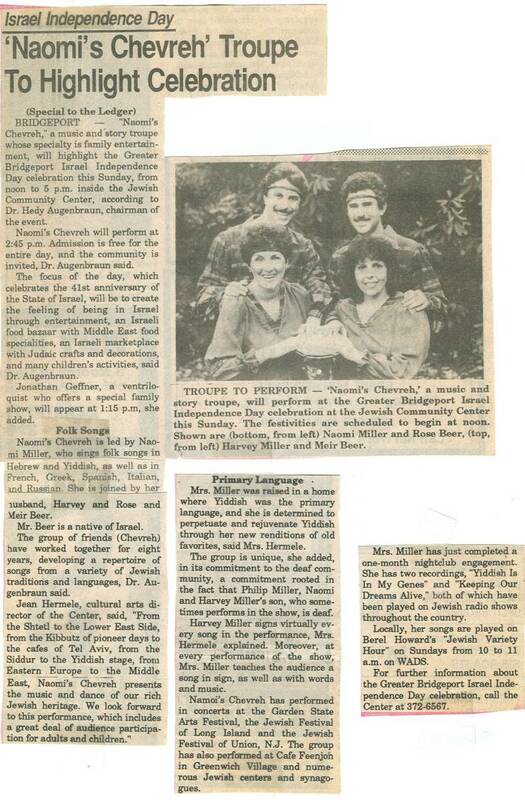 JDHIC was founded to raise funds to allow Deaf and hearing impaired Jews in New Jersey to participate in Jewish life. 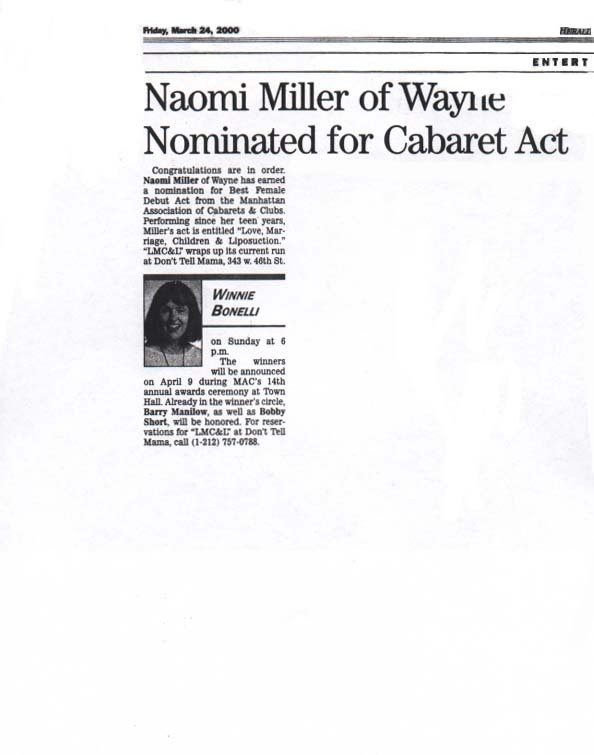 Equipped with a degree in speech therapy and minor in drama from William Paterson University in New Jersey, Naomi, who was working in a school system at the time, began working toward her masters degree in speech therapy at Montclair State University. Miller gave up working and college when she began to suspect that her newborn son might have a medical problem. It took until Philip was about 18 months old that he was finally diagnosed as profoundly deaf. 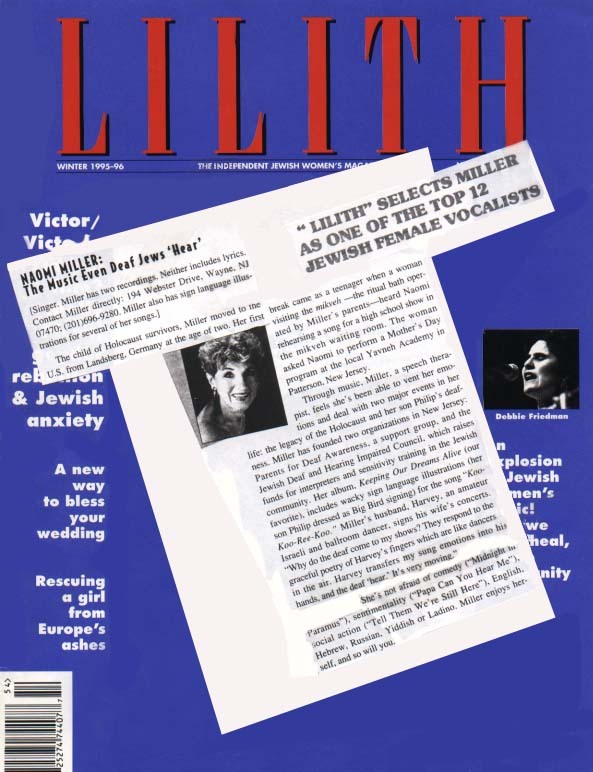 When he was diagnosed, "Miller explains, I began devoting my time to help Philip develop his speech, language and what little hearing he might have." 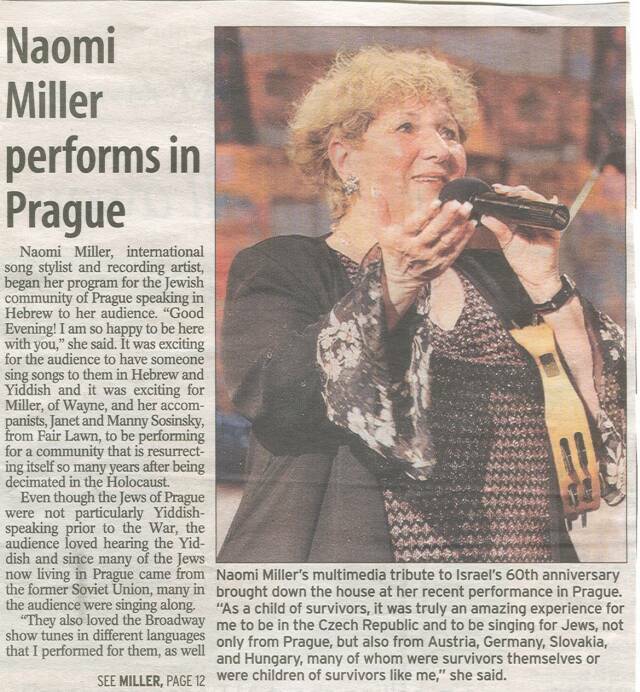 Naomi, who was born in a Displaced Persons Camp in Landsburg, Germany, was raised in Paterson, New Jersey where she attended Yavneh Academy, an elementary Hebrew Day School. 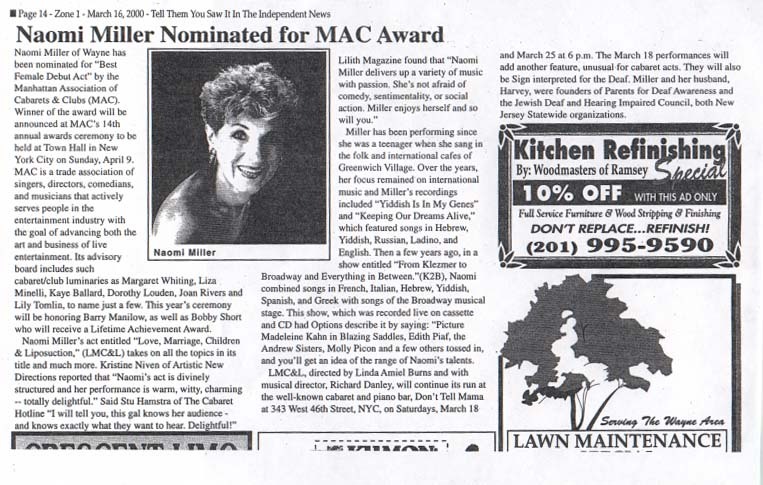 She is currently an active member of Shomrei Torah, the Wayne Conservative Congregation and has sung there once a month at early family services for the past 15 years. 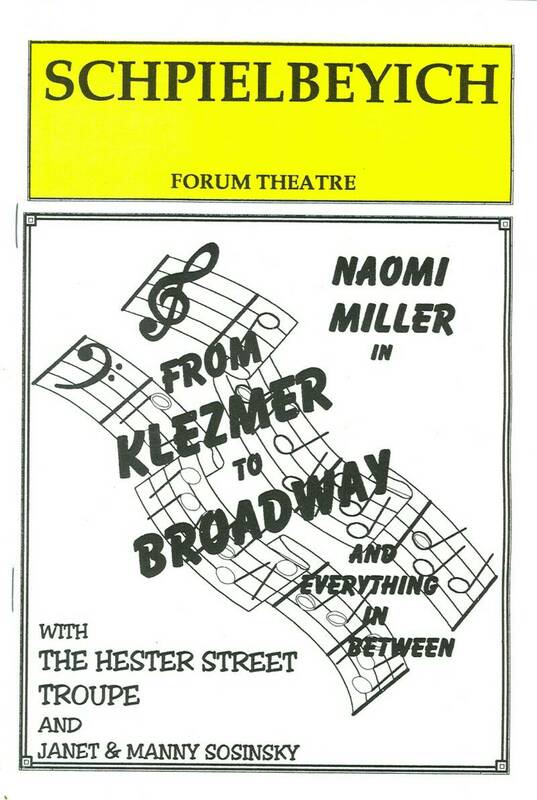 She had also taught Jewish music there, as well as in other synagogues. 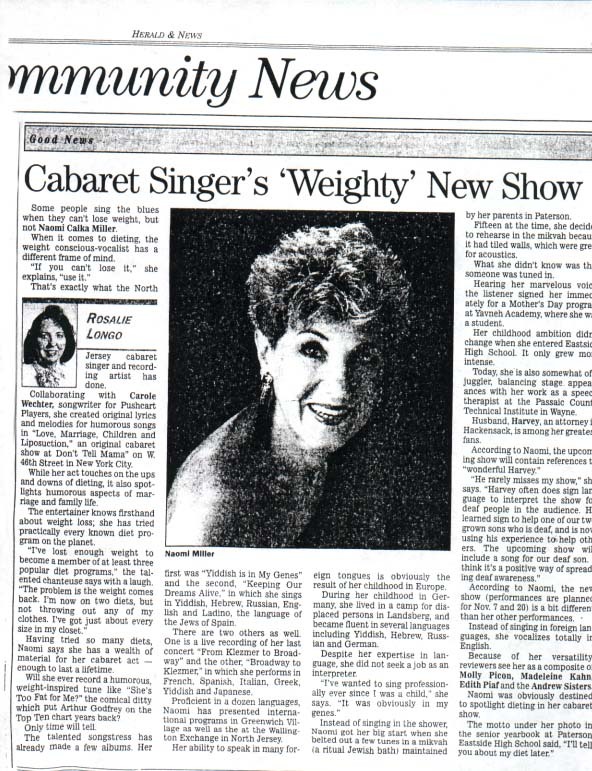 Wherever she sings or teaches, she often incorporates teaching her audiences how to sign and sing the song. Married to Harvey, an attorney, the Millers have a second son, Josh, who is hearing and who just entered his sophomore year at Muhlenberg College, Allentown, PA, majoring in psychology. 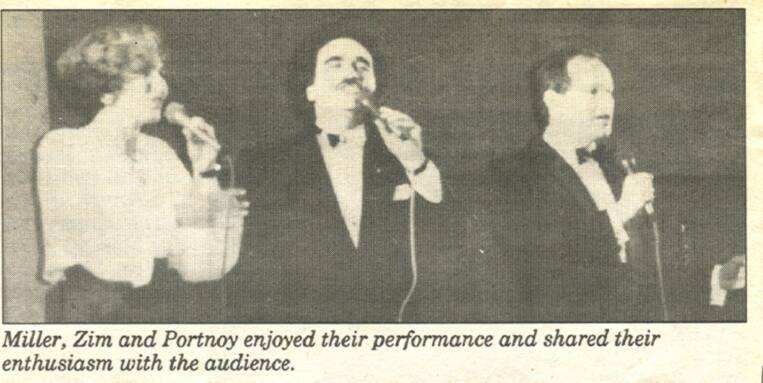 For many years, Harvey was the Sign Language interpreter for Shomrei Torah and, hence, for his son. Philip had his Bar Mitzvah in a fully accessible service. What Got You Involved In The Deaf Community? "When our son was about two years old, my husband and I began to learn Sign Language. As we became more comfortable with the language, we also became more involved in the Deaf community. We looked for role models for our son and we found them!! We attended Deaf synagogue services and Deaf clubs and the Deaf community was so warm and welcoming. Deaf adults would take Philip on outing. We invited deaf speakers to our meetings, whether it be Parents for Deaf Awareness, our parent support group which we also founded, or the Jewish Deaf and Hearing Impaired Council. We made certain that our own meetings were fully accessible and deaf people started coming and joining us in large numbers. Many hard of hearing and hearing impaired people also would come because for them, our meetings were a bridge between the hearing and Deaf communities. We met wonderful, involved and dedicated people." "When we discovered that Philip was deaf, I was employed as a speech therapist. My first instinct was to teach him to lipread and to talk. We even enrolled in the John Tracy Clinic. My husband and I became very busy reading everything we could get our hands on about deaf ness and visiting all kinds of schools and calling and writing to everyone we thought might be an 'expert.' My husband became convinced that we had to learn Sign Language and use the Total Communication approach to bringing up our son. Since I was a speech therapist, I was not so sure. But I found that just working on lipreading was too slow and frustrating and did not provide us with a meaningful communication system. We enrolled in a family education and preschool program and began working with a counselor, Anita Dee, who summed up exactly what we were feeling in one sentence. She said, "A Deaf child has the right not to be a stranger in his own home." That made a lot of sense to us and, in fact, it became the motto of our parent group, Parents for Deaf Awareness." "Using Sign Language and talking at the same time has been very rewarding to us. 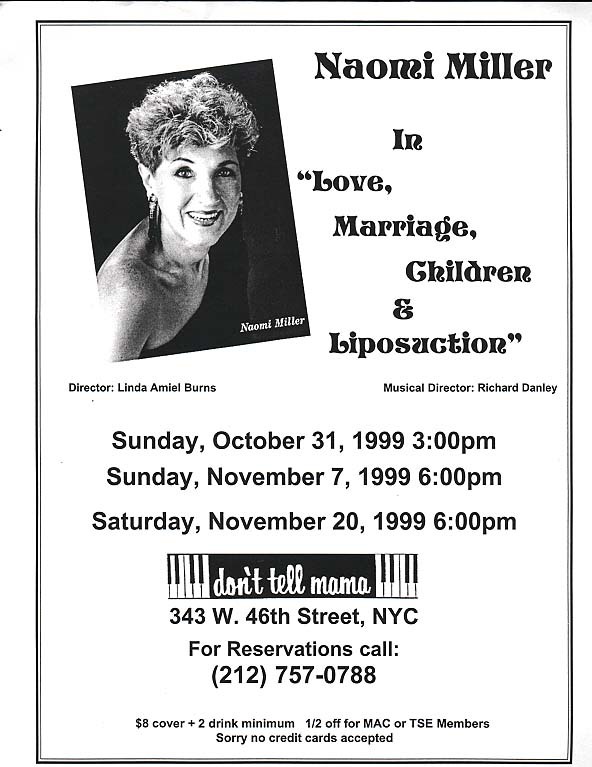 It allowed us to work on speech, language and audition all at the same time and now, so many years later, we have full communication with our son and his wife. Their baby is hearing, but he is learning to sign as well. I am currently a speech therapist in a vocational high school where my caseload includes both deaf and hearing students." 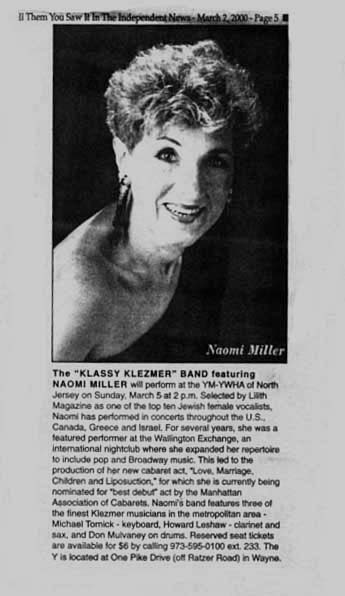 "I am also a professional singer and have incorporated Sign Language into my repertoire. 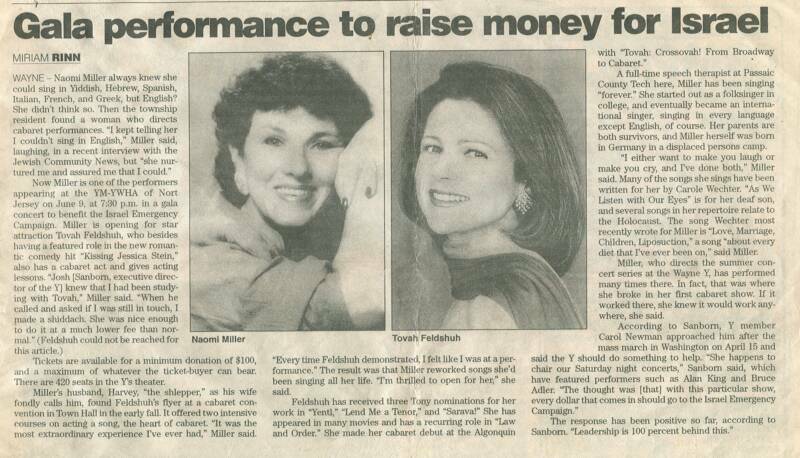 In fact, my husband used to interpret all of my rehearsals so that Philip would be exposed to the beautiful poetry of the lyrics. He even knows songs in Hebrew and Yiddish!!! 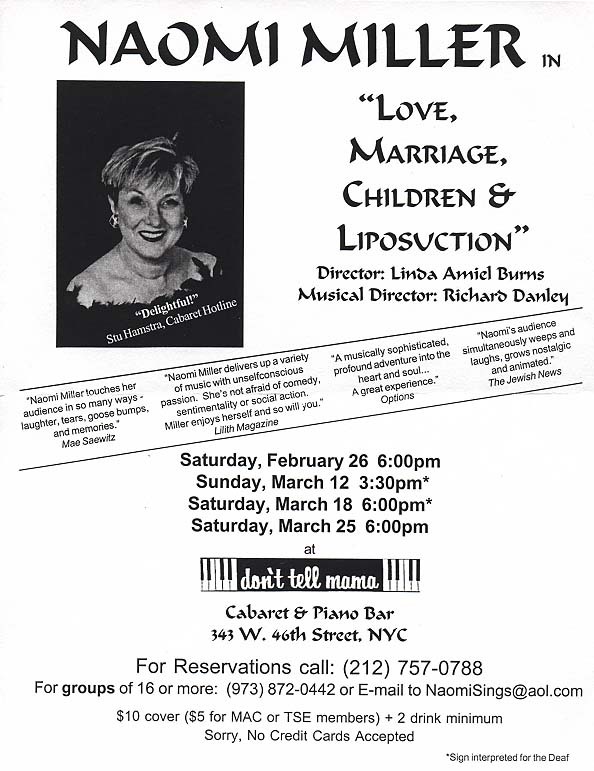 My husband, Harvey, has interpreted many of my concerts and cabaret performances. 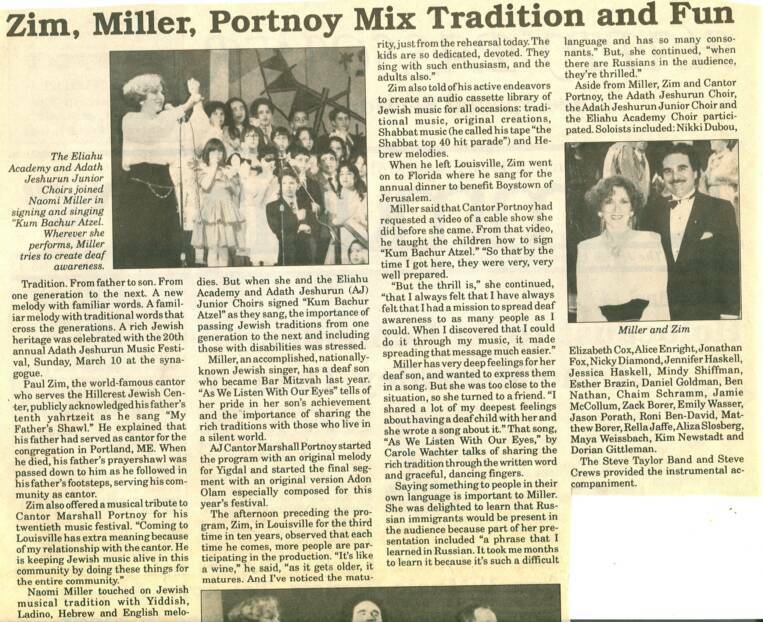 I often perform a song in voice and Sign which was written especially for me to sing at Philip's Bar Mitzvah. It's called "As We Listen with Our Eyes." These are just some more ways for us to spread Deaf awareness." 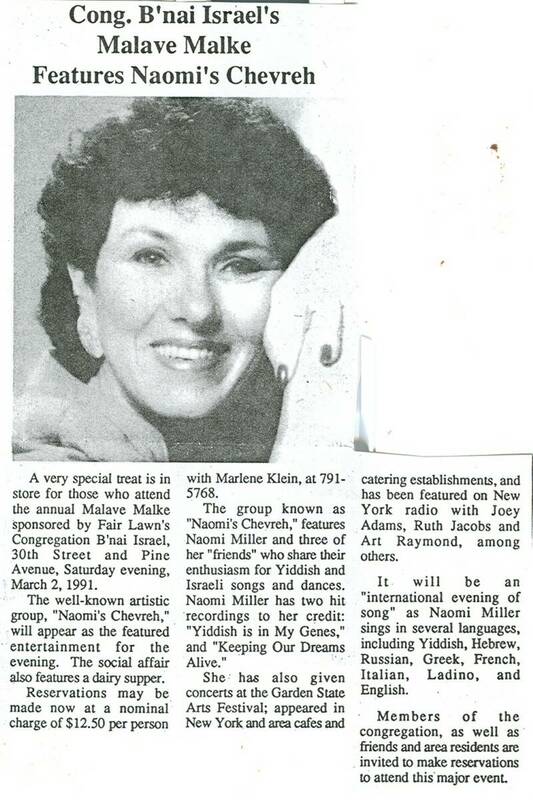 "I started the Council around 1984 when Philip had entered Hebrew School. 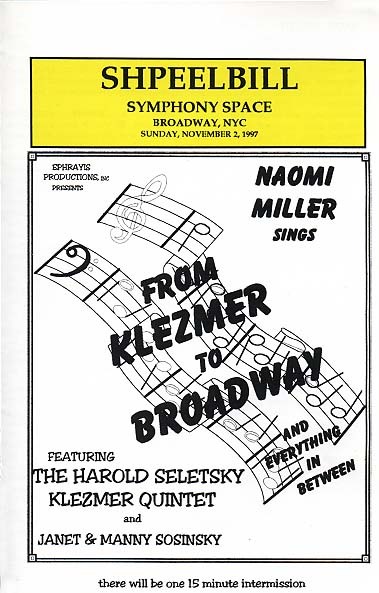 At that time, we belonged to a different synagogue in a different community. We tried to explain to the rabbi and the board how to make the synagogue accessible to Philip and our family and how we could help to make that happen. But the reaction was one of negativity and concern that interpreters would be distracting in the classroom and at services. This ignorance and negativity caused me enormous grief, but it also called me to action. 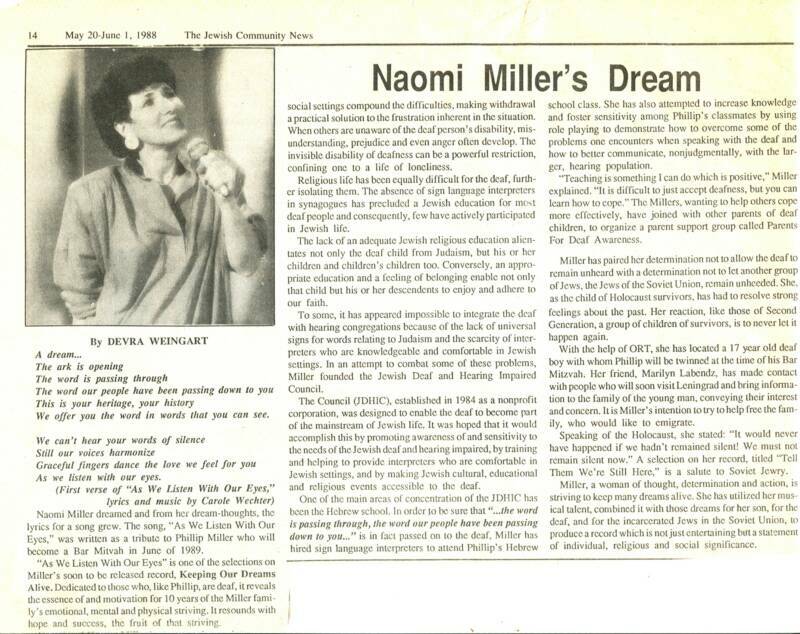 I decided that a Jewish Deaf child also had the right not to be a stranger in his own synagogue and Jewish community. 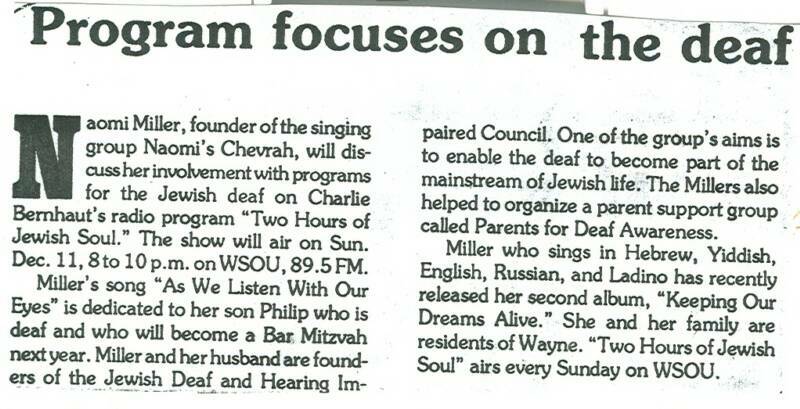 We switched temples and formed the Jewish Deaf Council to raise awareness in the hearing Jewish community of the needs of the Jewish Deaf. I worked at out local Y to make it aware of its obligation to be open to the entire Jewish community, and not only to the non-handicapped. 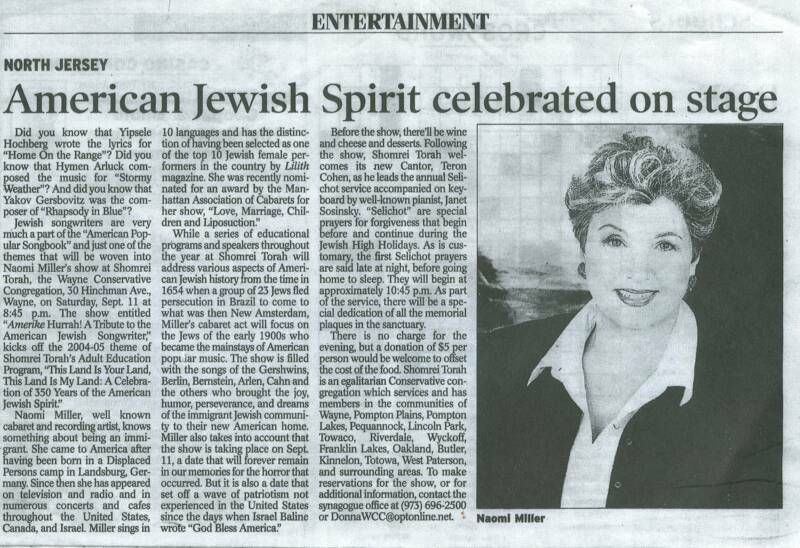 JDHIC's goal was also raise money to pay for interpreters in any Jewish setting, whether it be for Hebrew School, weddings, conversion classes, B'nai Mitzvot, funerals, Yom Hashoah commemorations, or other community events." 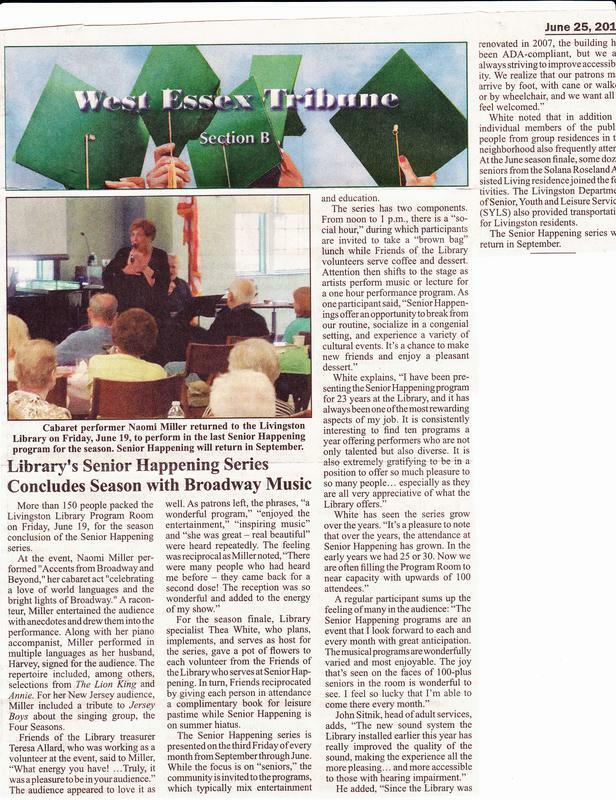 "Our goal is to make Jewish life accessible to the Jewish Deaf and to help Jewish institutions with the cost of interpreters, assistive listening devices, tty's, etc. Because our funds are limited, we have to limit our grants to New Jersey institutions or events and we have an application process. JDHIC survives on generous donations. It does not collect dues. 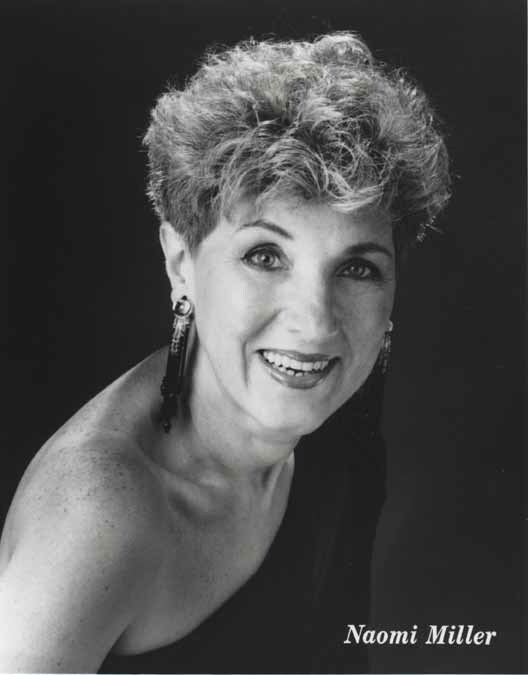 I served as the first president of the organization, and was succeeded by, Nancy Kingsley and our current president, Sally Cohen, both of whom are deaf."